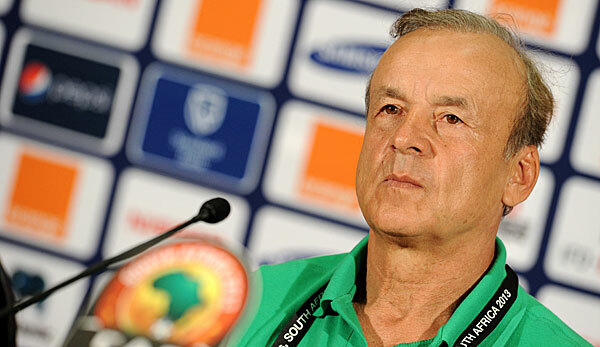 Ahead of the team’s clash against Zambia in Lusaka, Super Eagles’ Technical adviser, Genort Rohr has disclosed that the home based players will be part of his World Cup plans. The German tacticians made a winning start to his senior national team job with a 1-0 win over the Taifa Stars of Tanzania in a 2017 Africa Cup of Nations qualifier match in Uyo. Having named players such as Jamiu Alimi(Kano Pillars), Emmanuel Daniel (Enugu Rangers) and Ikechukwu Ezenwa (FC IfeanyiUbah) in the squad that faced Tanzania, it’s expected that more players from the Nigeria Professional Football League would be given a chance to prove their worth in the team. However, Rohr has admitted that the NPFL players would be given equal chances in the team just as their foreign conterparts. “I am not loosing sight on the players playing in the Nigeria Professional Football League because they are vital to my World Cup plans. As you are aware that we invited three players against Tanzania and I believe more of them would be part of the team,” Rohr told Soccernet.com.ng. “We are working tirelessly to ensure that we select the best players that will be useful for the task at hand. I am not particularly focusing my attention on the foreign based players because they play in Europe or better than the home based players but due to their experience. ” What we need at this point is collective responsibility and I believe the NPFL players will be relevant to my dream of building a solid Super Eagles.” he said. Nigeria will face Zambia in a 2018 FIFA World Cup qualifier match on October 9 and the Super Eagles squad list is expected to be released next week.